Looking for things to do in Fargo-Moorhead this weekend? 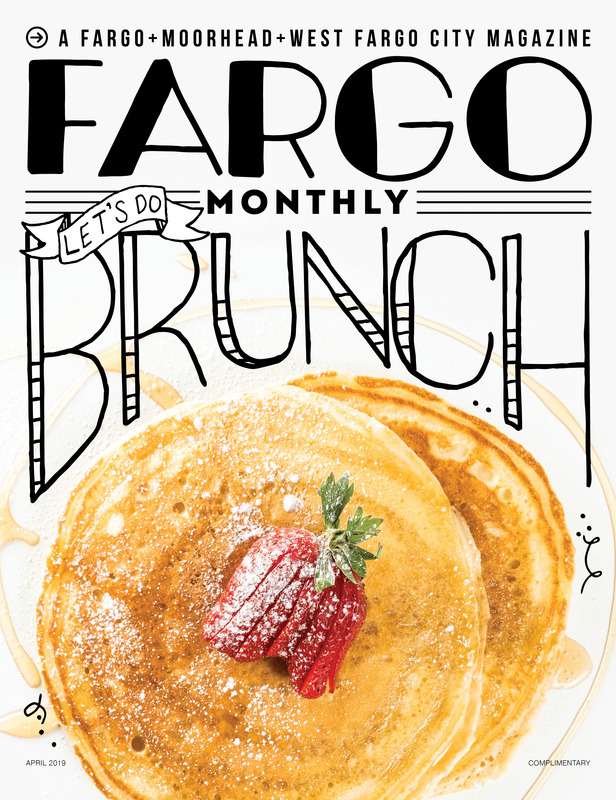 Fargo Monthly has got you covered with our Fargo Moorhead Weekend Forecast! Purrsday Thursday at the Red Raven: 6-8 p.m. YES cats, young and old will be at the Raven this Thursday. This is an occasional meet n greet event where you can meet some cats available for adoption at Cats Cradle, a shelter just down the alley from us. Fargo Friends at Front Street Taproom: 7-8 p.m.
One hour of chatting with likeminded locals. Whether you just moved to town or have lived here for years, or if you want to meet new people and network, this is the event for you! Their drink specials include $10 select pitchers from 7 p.m. to close, and you could win free beer by winning games of foosball! More than 30 inflatables, including eight obstacle courses and even a designated kiddie land will occupy the main floor of the Fargodome. The popular Archery Tag® and Blacklight, Dodgeball, 9 Square and Mini Golf will be held on the other two levels of the Fargodome. If you’re looking for a break from all that fun, head over to Labby’s for $2.95 premium well drinks and $2.95 Miller Light taps from 3-7 p.m., free pretzels and peanuts from 3-6 p.m. and $1 off bottle beer and premium well drinks from 9 p.m. to close. Bootcamp on Tap at Fargo Brewing Company: 6-6:30 p.m.
Jenny with Fargo FITLIFE will be on location at Fargo Brewing Company hosting a 30-minute bodyweight bootcamp. No previous fitness experience needed. Get your sweat on and enjoy a local brew, all for only $10! Here at Drekker we’re not exactly known for being quiet, calm or collected. But we embrace it and now we’ve teamed up with another motley crew at CrossFit Icehouse to present something completely wild, weird and crazy fun. It’s yoga and beer in a totally new way— VIKING YOGA!!!!! Home Alone Movie Trivia at Wild Bill’s: 10 p.m. – 2 a.m.
Trivia starts at 10 p.m., and the winning teams will win free rounds of drinks and prizes! Check out their drink specials from 9:30 p.m. to close, which include $2 Fireball shots, $3 Bud Light and Coors Light bottles and $4 premium cocktails. Endless Possibilities Wedding Expo 2019 at the Avalon Events Center: noon – 4 p.m.
It’s a great opportunity for engaged couples, families, and their friends to meet essential vendors that support their celebrations. Come enjoy meeting DJs, photographers, bridal stores, tux shops, florists, jewelry stores, make-up artists, hair stylists, and so many more! Wasted! The Story of Food Waste Free Film Screening at the Fargo Theatre: 2-5 p.m. Produced by Anthony Bourdain and featuring chefs Dan Barber (NPSAS Food & Farming Keynote Speaker), Mario Batali and Massimo Bottura. Audiences will see how “scrap food“ can be transformed into incredible dishes and become a contribution to a more secure food system. Want to see more events happening in the FM? Check out our full Events Calendar! Keeping tabs on drink specials? We have your complete guide to all the Fargo-Moorhead Bar Special & Happy Hours! Next article What Is Giving Hearts Day? Jessica Kuehn is the web editor for Spotlight Media. She graduated from Concordia College in Moorhead with a degree in print journalism. When she isn't writing or correcting her and other people's grammar, Jessica is obsessively quoting The Office and reading way too many books. What Is Giving Hearts Day?